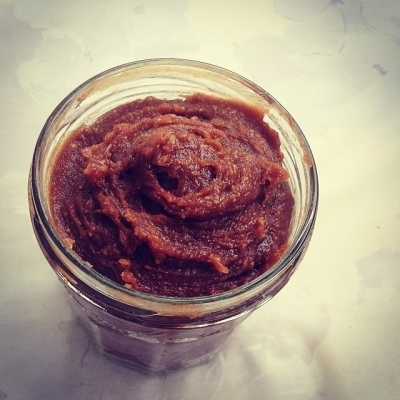 A delicious peanut butter spread that you will want to eat straight out the jar! Blend 250g of raw plain peanuts until they become a smooth butter (about 15 minutes). They first become ground peanuts, then form a ball, and then the oils are released and the ball breaks down into a butter. Then add 50g of melted 90% lindt dark chocolate and a teaspoon of natural caramel flavouring, and pulse the blender a few times until thoroughly combined. Store it at room temperature so it is easy to spread.